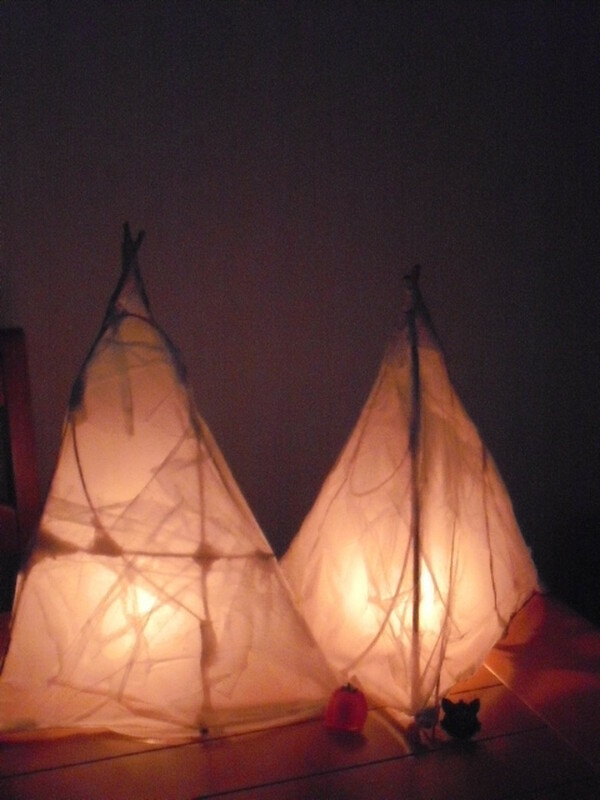 Here are the instructions to make a easy homemade lantern in around 30 minutes. I have included a step by step photograph guide to make it even easier. 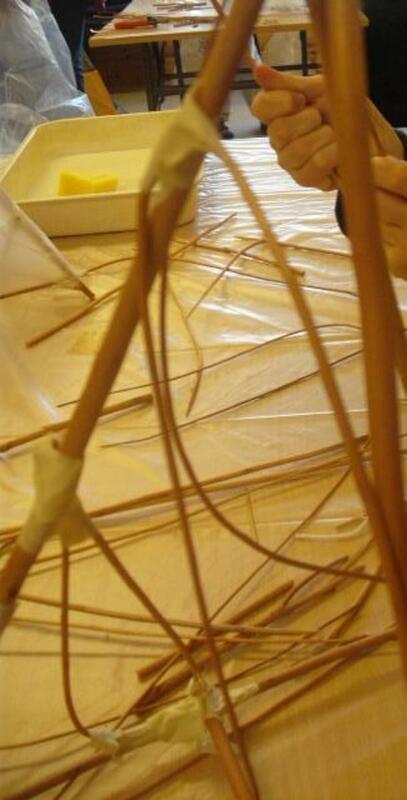 Most of the materials are already in the house and the wooden sticks can be found outside. The glow sticks or battery operated candles are easily accessible and can be bought from local shops or online at Amazon. Easy and fun to make, and looks awesome. 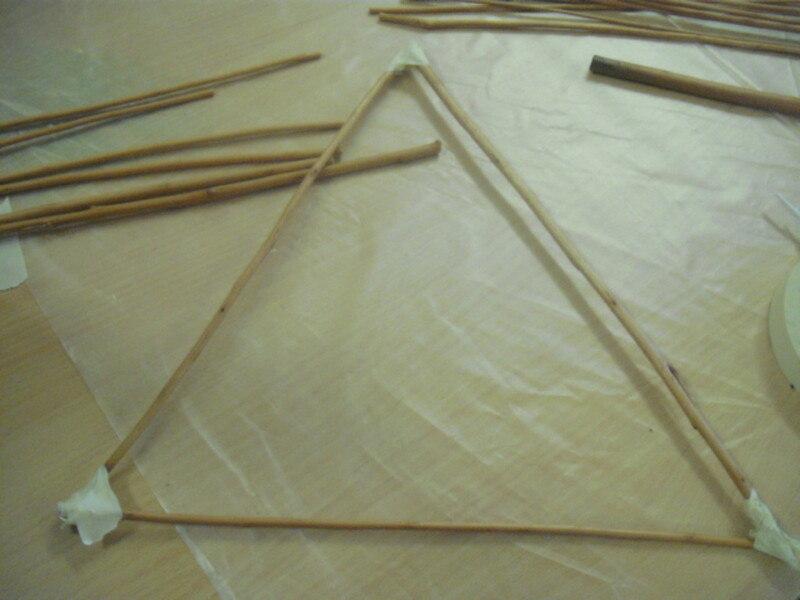 Take three short sticks and form a triangle shape. Join the ends securely with masking tape. 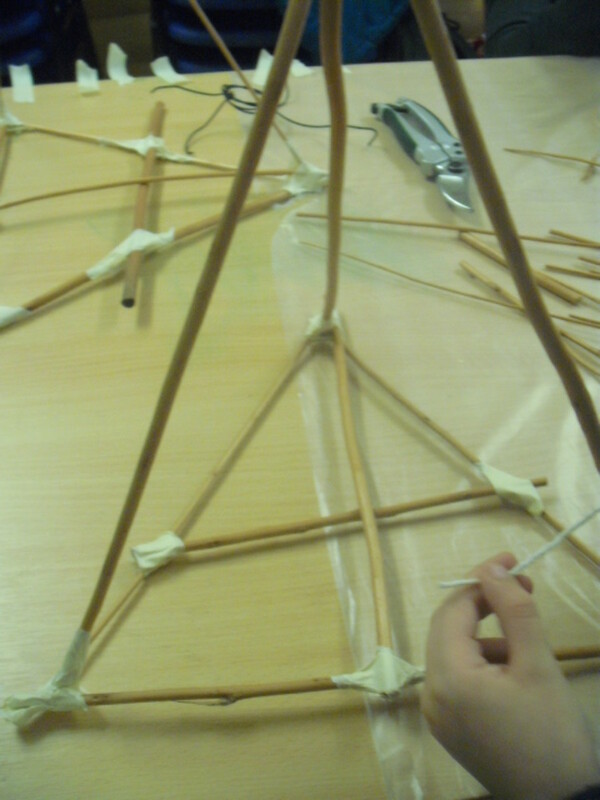 Use two short sticks secured by masking tape to form a cross shape across your triangle. 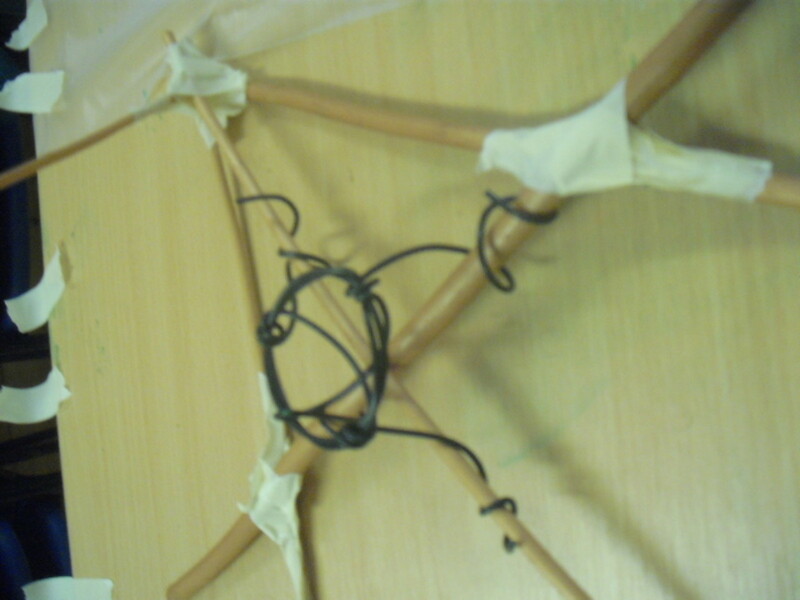 Use plastic covered wire to make a circular shape then use the wire end to keep it closed. Make four five inch pieces of wire coming out from the circle. One at the top, bottom and also both sides. Secure the four pieces of wire to each part of your cross at the base of the lantern. Now use three long sticks to go upwards from your three triangle corners and to meet in the middle. This creates a pyramid shape. As before secure firmly with masking tape. 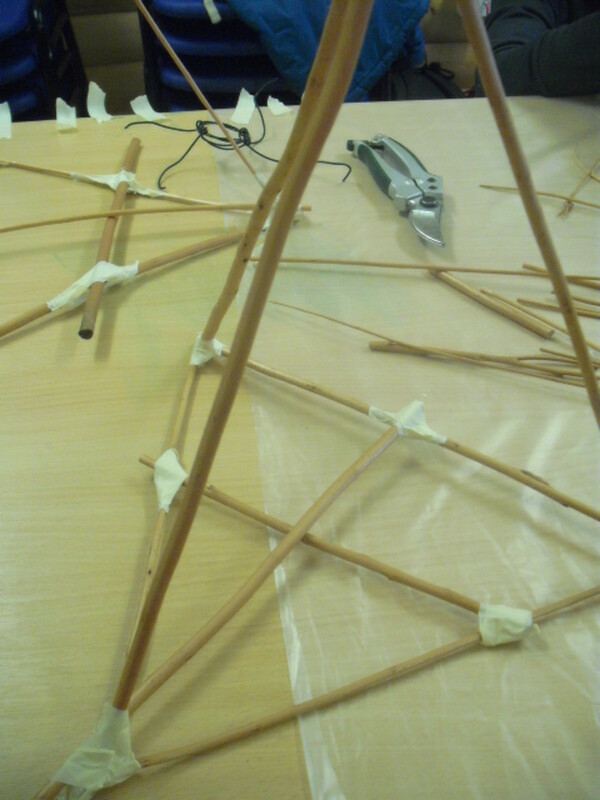 Use thin sticks to either make circular shapes or straight lines across your lantern sides. Attach the sticks with masking tape. Be creative and let the patterns flow. 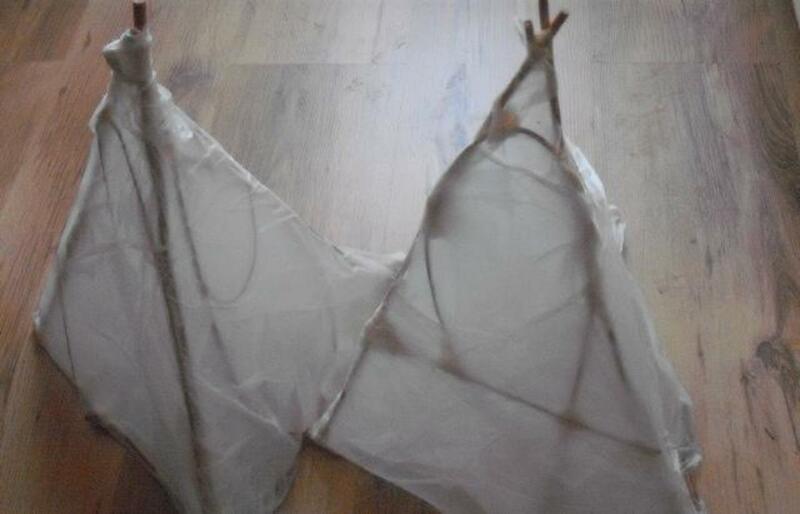 Use white tissue paper to cover your lantern. Use a sponge to soak the paper with a water/pva glue mix. Put the sheet over the lantern frame till it is completely covered. When your paper has dried, you just need to put in the light. Use either a battery operated tealight or a glowstick. For safety reasons these lanterns are NOT suitable for using real candles. Also for safety reasons and even though it is battery operated candles in your lantern, do not leave your lanterns on unattended. Now you have your very own really arty and cool glowing lantern. There are no limits. 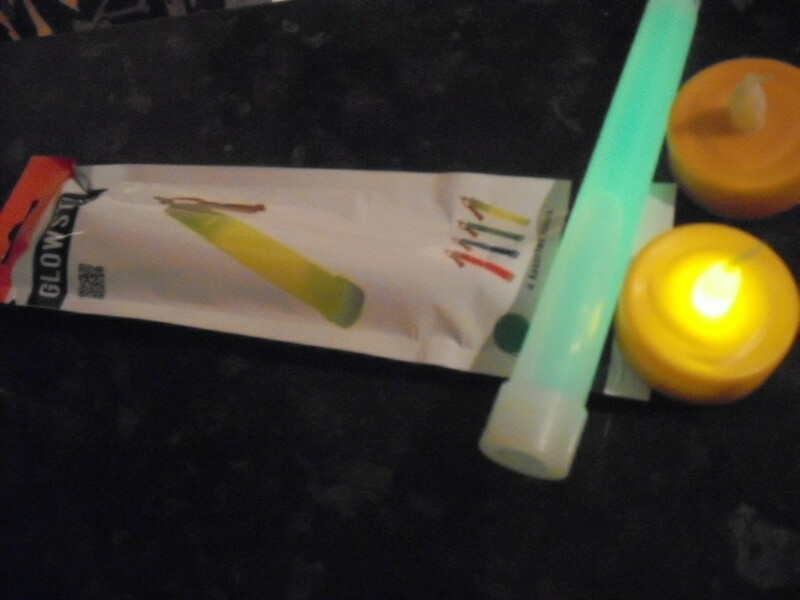 You can make more than one lantern and use different coloured glow sticks for a multicoloured effect. 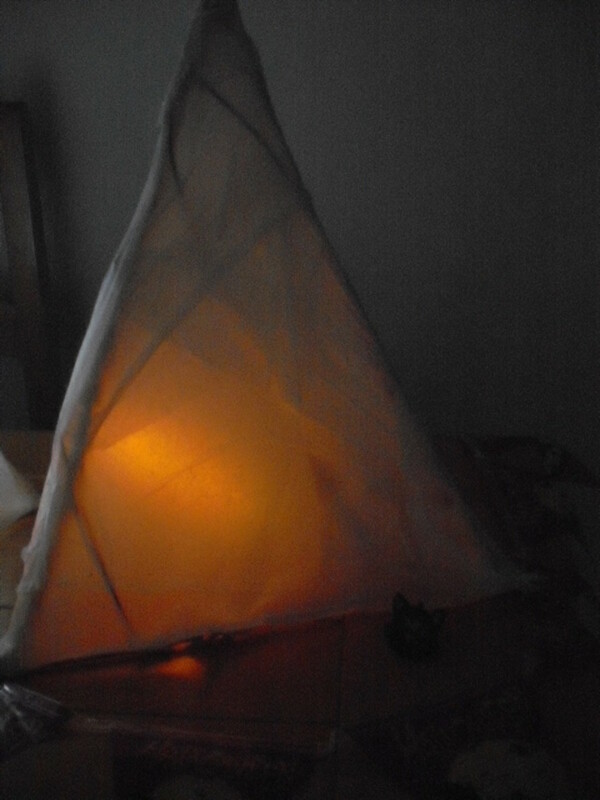 Or by using different coloured tissue paper you can completely change the lantern. The plain white lanterns are my favourite as they give off a shining white glow. There is no limit to the possibilities. Just remember the most important thing is to have lots of fun. As well as providing fun for the kids this lantern allows them to make decisions and also exercise their artistic skills. They learn the value of using natural resources and off course they can take great pride in showing everyone their brilliant finished product! For those with no kids in the house. 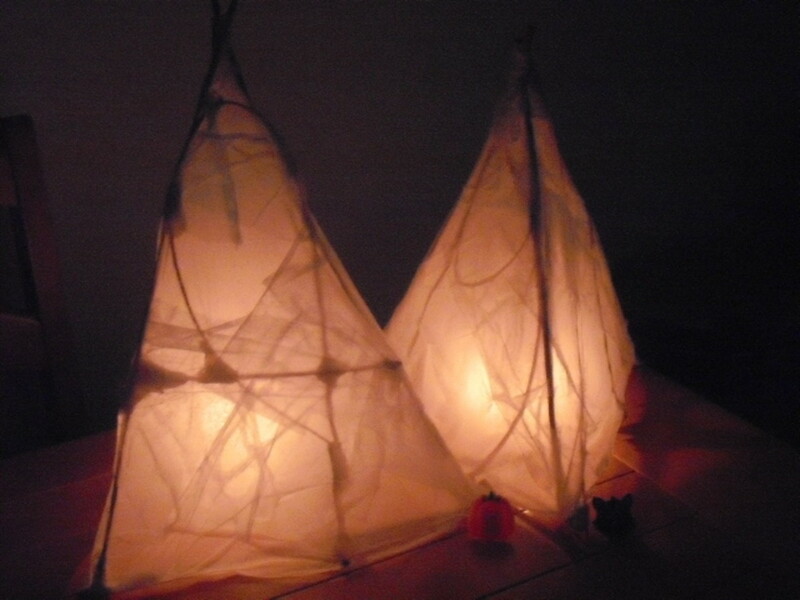 This lantern is also a great adult craft project. It is great fun and in our modern, busy world it can provide a small oasis of creative, relaxing time within your hectic day. This lantern is very versatile and can be modified to suit all occasions. Plain white lanterns are suitable for all the different holidays and by changing any images you stick on you can customise your lantern for almost any occasion. So keep crafting with those sticks and paper all year round. Thus keeping your own little space always filled with a warming glowing light. I miss you too. The most surprising thing I have found about writing online is how you find friendship and a connection with some people, so far away. I always like your wise and witty words. I have been writing my paranormal tale so I haven't abandoned my writing, it has just been kind of quietly ticking along . I haven't really been on Hubpages as I just haven't had very much free time recently. The good news after the referendum is that as a nation we are all still very politicised and the early signs for next year's election are very encouraging. I had checked when I logged in, to see if you had written anything and I noticed you hadn't. Your novel sounds intriguing and a real labour of love. Your research must be extensive and exhausting. When you finally hold your finished... back breaking, painstaking and ultimately beautiful piece of work in your hands it will be an amazing feeling. Wanted to say, "Hello". Been missing you. back on that horse and continue your life's journey. Here's wishing you and your family a very Merry Christmas! What a wonderful hub showing us how to make something in sequence, and that is what I need anymore. Such a lovely addition to any celebration and thanks for sharing. Very cool craft project. I like that you start with "natural" materials. It would be neat to experiment with different types of tissue paper or even cellophane. poetryman6969, it'd be awesome! 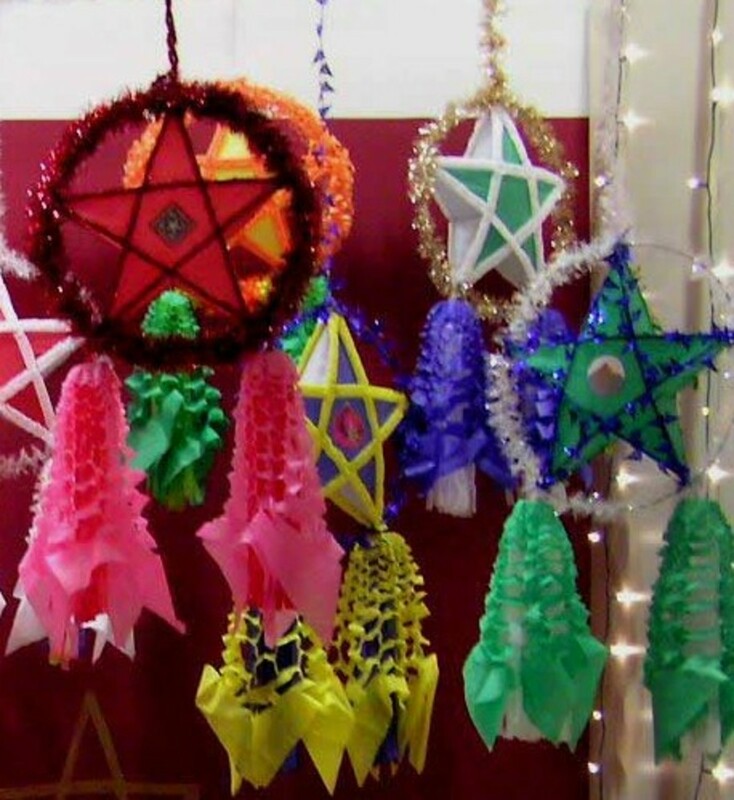 What a way to be festive--and frugal and fun/crafty at the same time! Send us photos or write an article if you do it--I'd love to see what you come up with and how it looks! :-) Cheers! Thank you JPS0138. They are great fun to make too. It is fun to do even without kids there; messy, crafty and it turns out all pretty in the end. A great idea for the upcoming season. I will certainly try this out. What a cool idea! I don't have kids, but if I did, I would definitely be trying this project out! Glow sticks are abundant around October, and are sold very inexpensively around Halloween. I worked at an arts and crafts supply store, and we always had box after box to try to stock on the sales floor, and they're very popular. I am sorry I thought I had replied to your comment but it seems to have disappeared! We use child friendly paper glue. I think any paper glue would be suitable. Thank you very much epbooks for reading and commenting. It is a fun project to undertake. What a fun and creative way to spend an afternoon. Love this idea! Thank you very much for reading Lisa and for your kind comment. 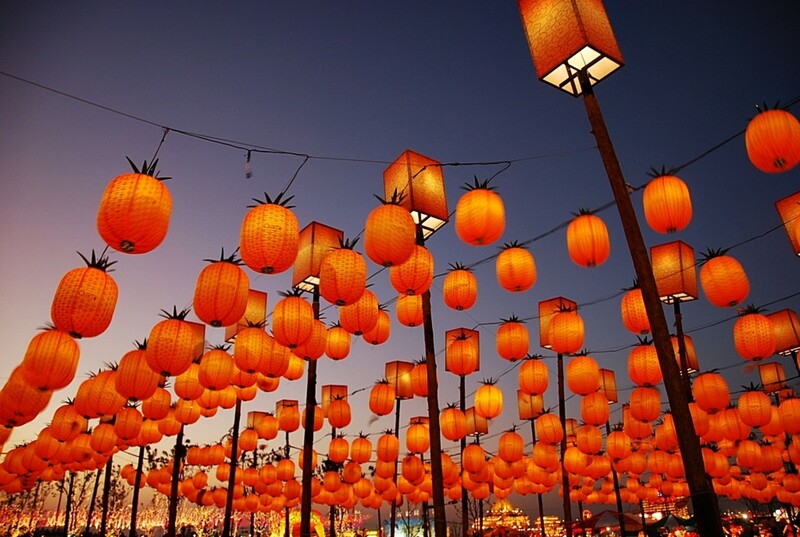 Awesome lanterns. Excellent hub of creative fun to be had by all for sure! This idea is so creative. You explain the process so well. Excellent article. This is actually a very cool project to do with the kids :), these look like they could also be used for many other things than haloween, nice work. Great project! What brand of glue do you recommend using? I wasn't familiar with the acronym you used :-( --I'm a crafty geek, not the other way around. LOL I can't wait to try this fun project! Love the results--great photos and helpful, too! They are good fun to make, especially putting the paper on. Thank you Joelle. The theme park sounds great. I have candles burning in my house everyday as I love them. Alas this lantern just would not be fire safe. You have a great weekend and Halloween too when it comes. Looks like a fun project, especially this time of year! Voting up and awesome and sharing this one. That is so clever! 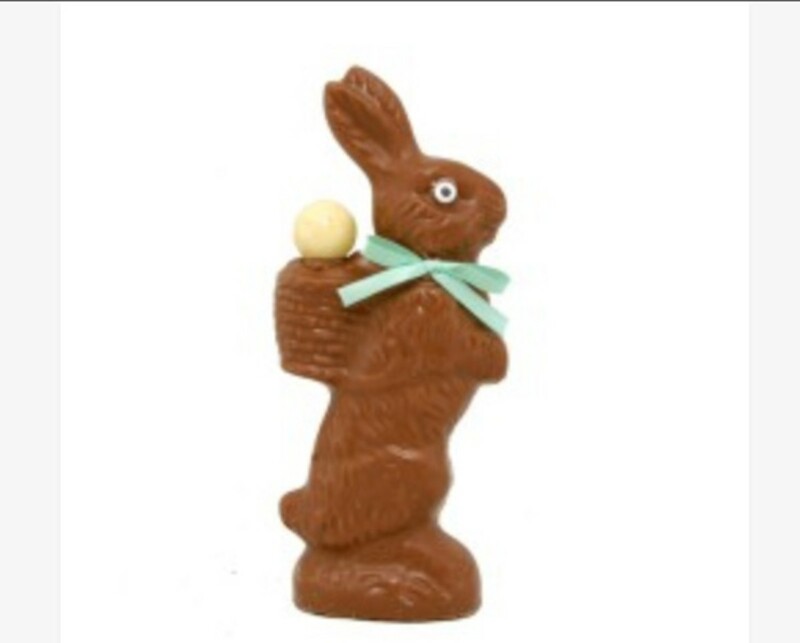 Oh I want one now! lol! I love it when something that looks so beautiful and clever is easy enough for me to tackle! voted up and shared! Awesome! I would prefer anything than real candles because I am always afraid of fire especially with children! But I remember once, I was in a very special amusement park and in the evening they decorated the trails with pierced paper bags (so the little holes would give a design with the light) and a real tea light candle in each bag. We were few thousand people walking through those trails and everything was just fine. I suppose your children must be on pins and needles with all the preparations for Halloween.... and waiting for the big night! Those are just really cool. Nice work, thanks for the tutorial. Thank you very much Mhatter99 for reading and for commenting. I actually checked your page before publishing to make sure you didn't have anything similar on. Definitely battery operated, I think it would go up in flames with a real candle. Your paint for black light sounds really cool. Anything inexpensive...I'm in specially seasonal stuff! :) This is very creative! Oh, Anna, you are so creative. I'll bet the kids love helping to make this. You gave an excellent presentation and the instructions were clear and would be very easy to follow. I would never have thought of the plastic covered wire to form a holder for the light. Ingenious! 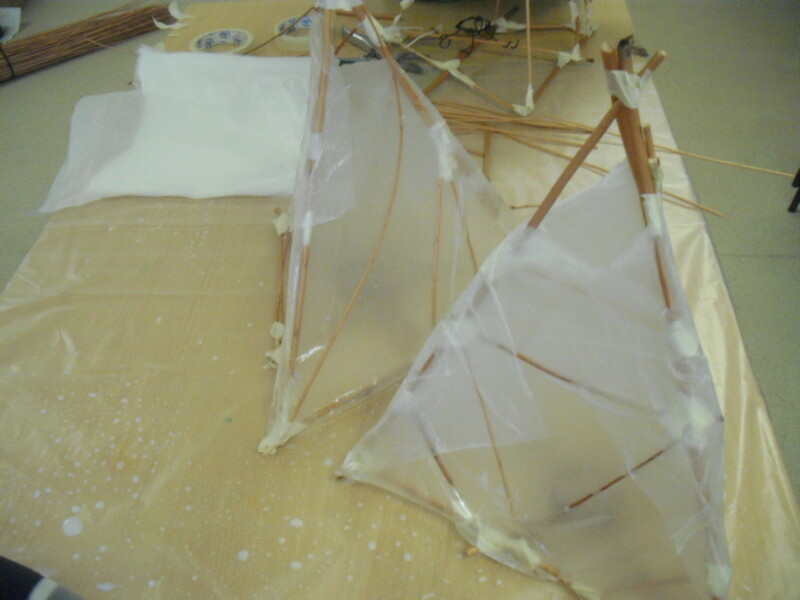 I enjoyed watching the progress of the lanterns being built and then covered with the paper, and finally, the finished product. Your kids have an awesome Mom! Thanks for sharing this nice project! 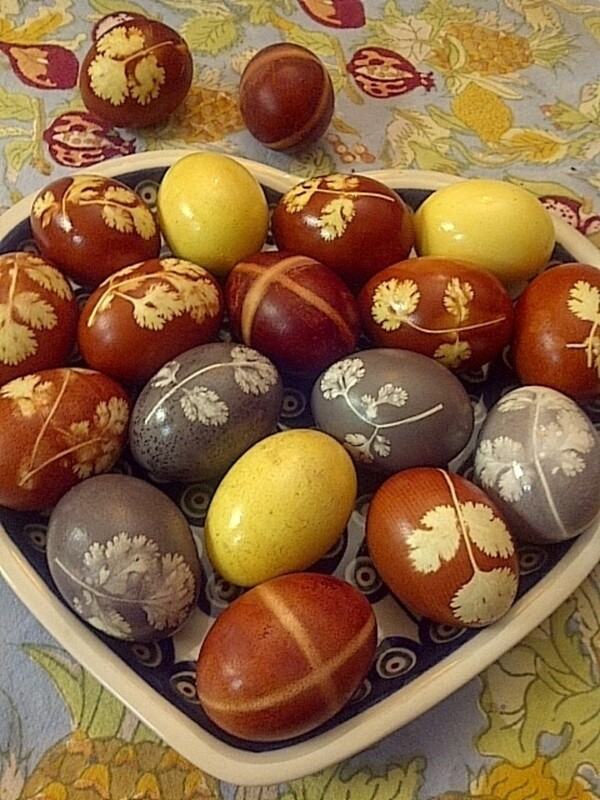 It's different, original and the end product is very nice! I just love it! That is so cool! You creative people always leave me feeling lacking. I would have never thought of this in a million years. My mind just does not work that way. Thanks for a great idea. I'll pass it on to Bev and maybe we'll give it a try this year.